Two new 3 lb. Viking style hammers are on their way to customers today. 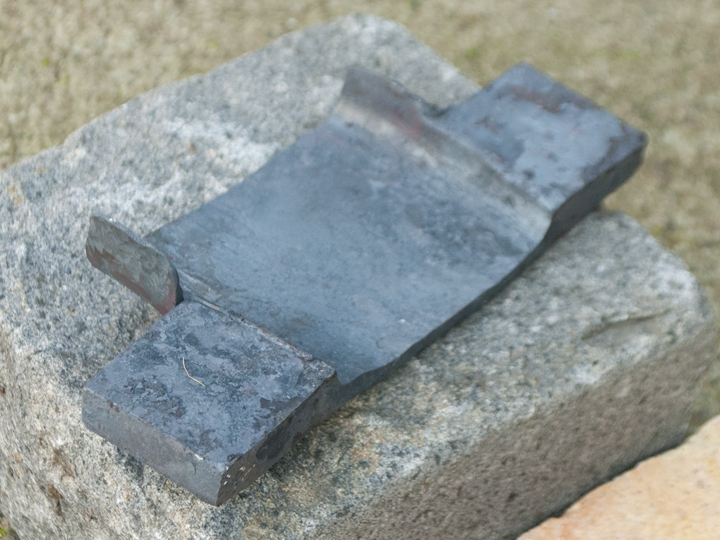 One is going to a blacksmith in France and the other to a friend just north of me here in California. 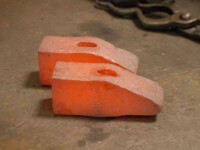 Both have low-carbon steel bodies forge welded to high-carbon faces and peens. 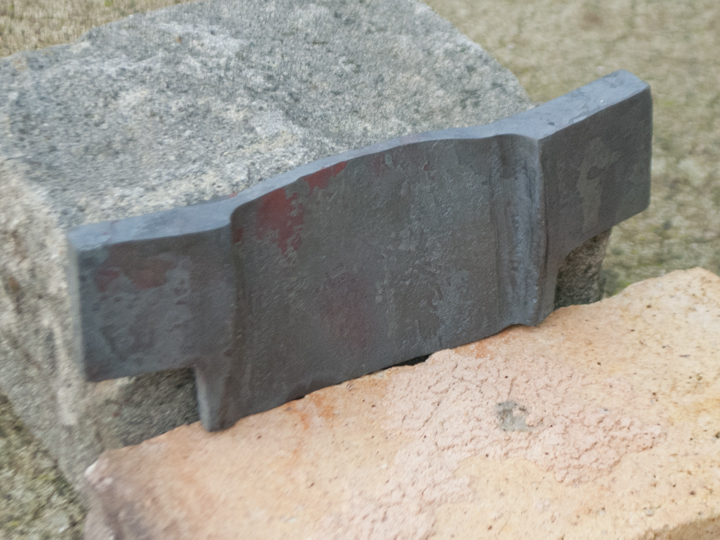 The process is very time consuming but it is very satisfying to do. One advantage to it is that the punching and drifting of the eye is done in a fairly soft steel and is much easier to perform. 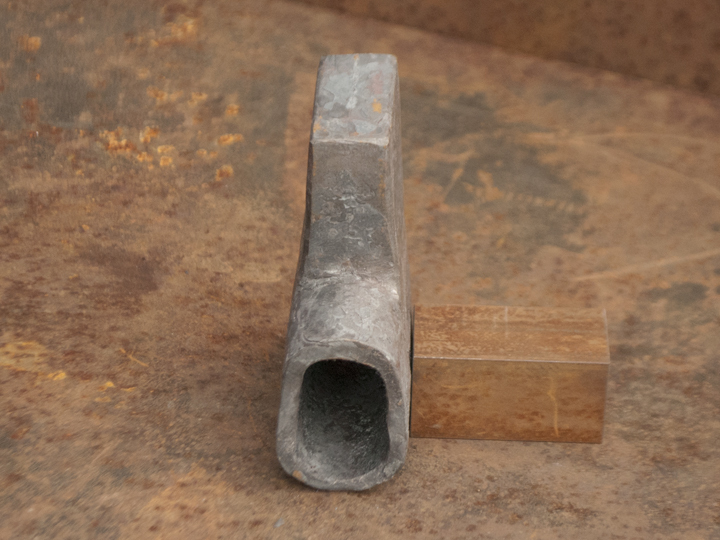 This is a big help since the strong, asymmetric taper of this hammer profile makes it difficult to keep the eye-hole straight. These hammers should give many years of good service. 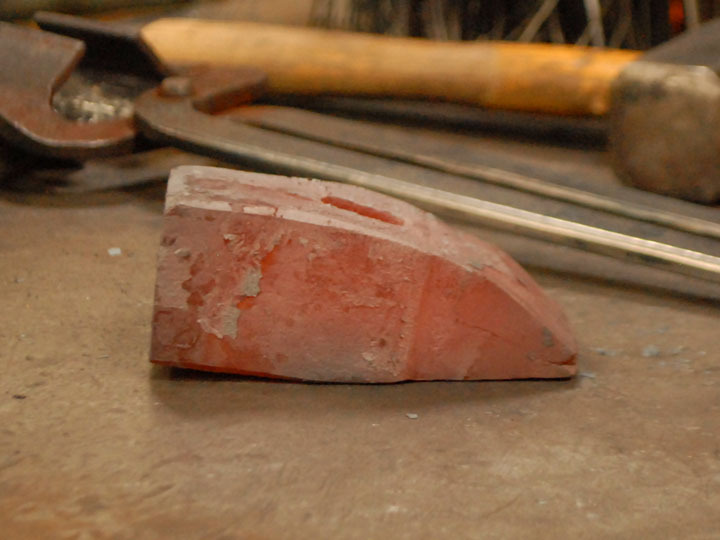 I thought it would be an interesting challenge to develop a 3 pound version of the Viking style hammers I was working on a few months ago. Those hammers were in the weight range of 24 ounces and made excellent, small blacksmithing hammers. It seemed natural to try a larger version which was for more general purpose forging. 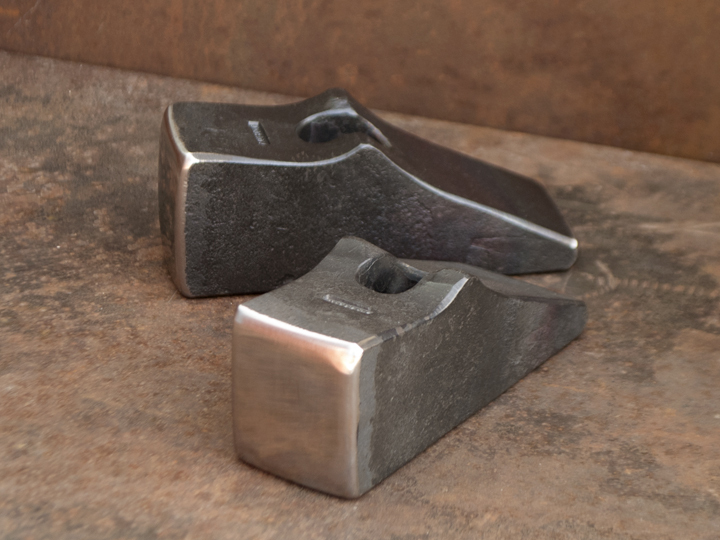 As in the smaller versions I forge welded faces and peens of high-carbon tool steel to soft steel bodies – in keeping with the older traditions of hammer-making technology. 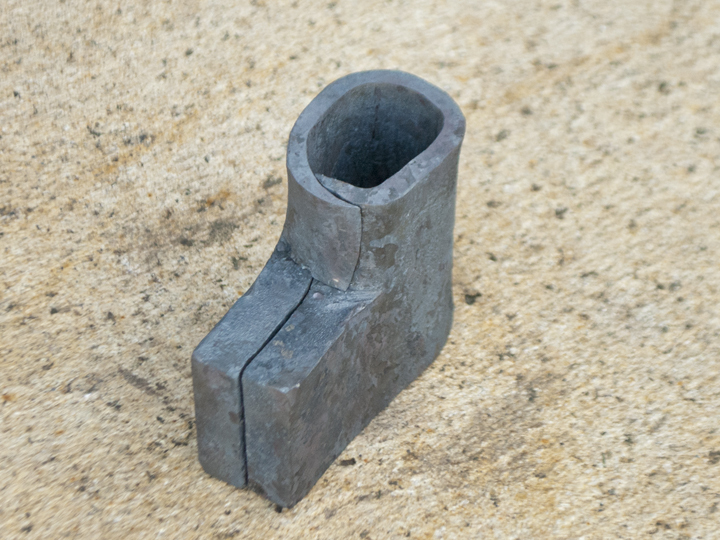 In changing to the larger hammer size I discovered some interesting fine points about hammer design and the forging process. 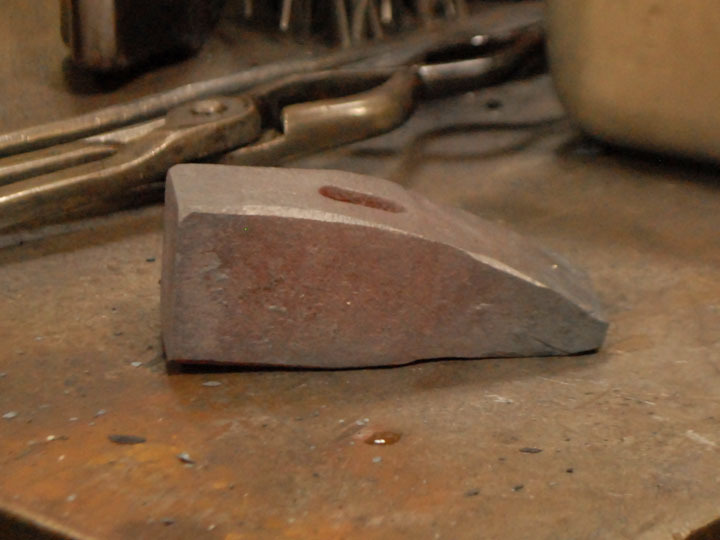 I am now consistently able to hit some of my more subtle design goals regarding the proportions and basic geometry of the hammers. 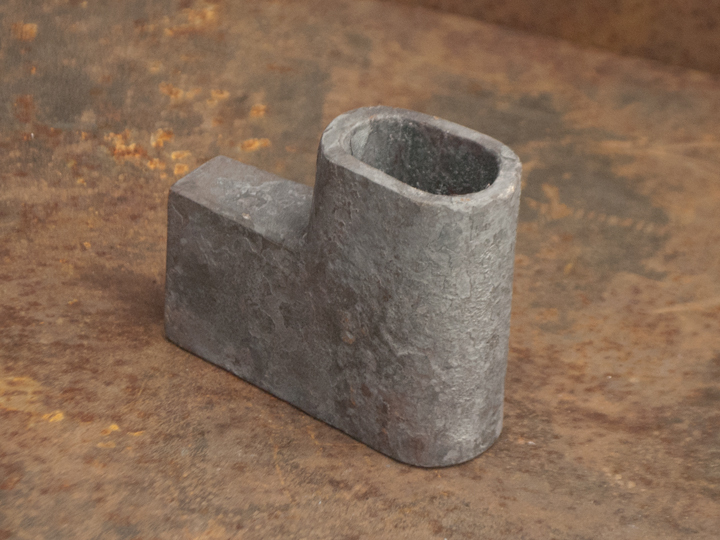 These hammers are all about 5″ long. 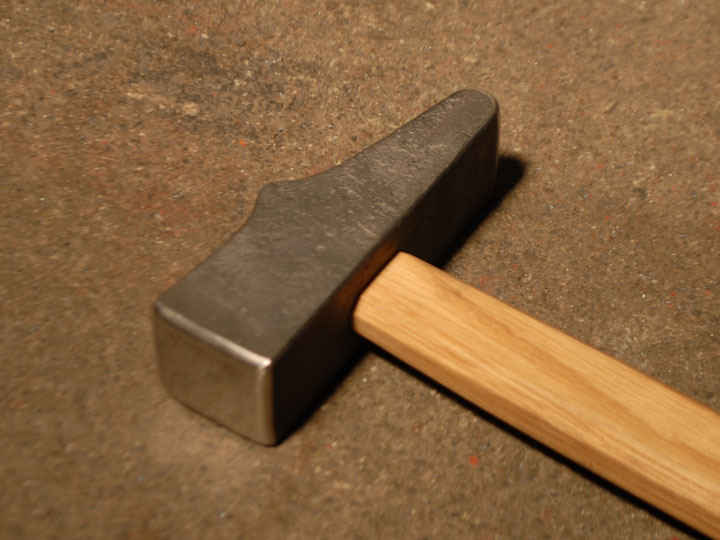 If I haft them I usually use white oak or hickory. 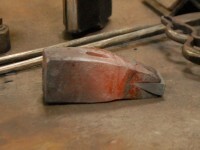 At this stage the hammer has a welded, high-carbon steel face and has been punched. 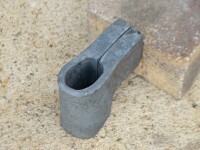 The peen-end has a cleft which must be opened. 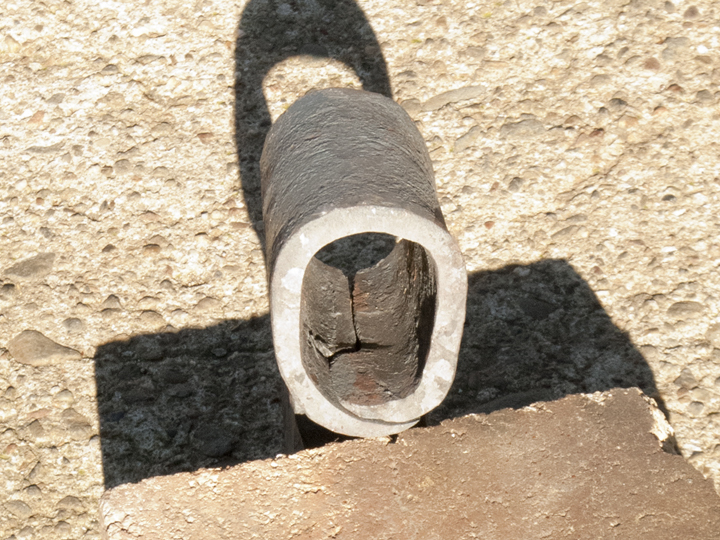 Here a thick wedge of high-carbon steel has been fitted into the cleft. It’s important for it to be flush with the hammer body on the sides before welding. 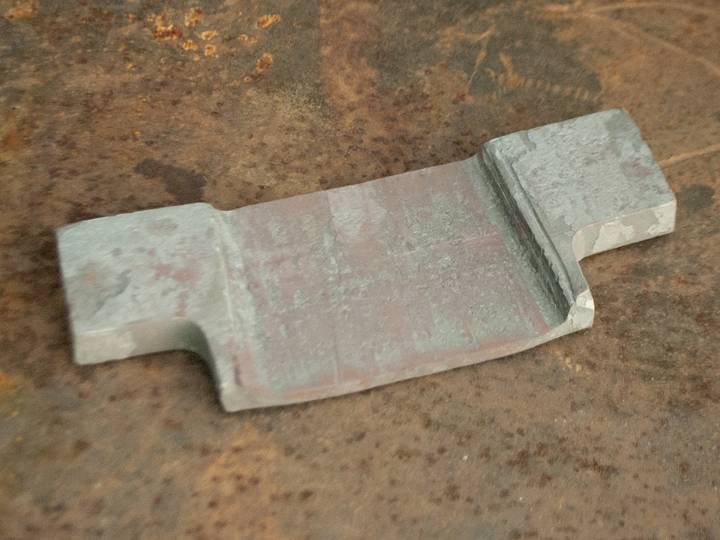 Now the wedge has been welded – a pretty easy step. The peens of these hammers have been roughly tapered. 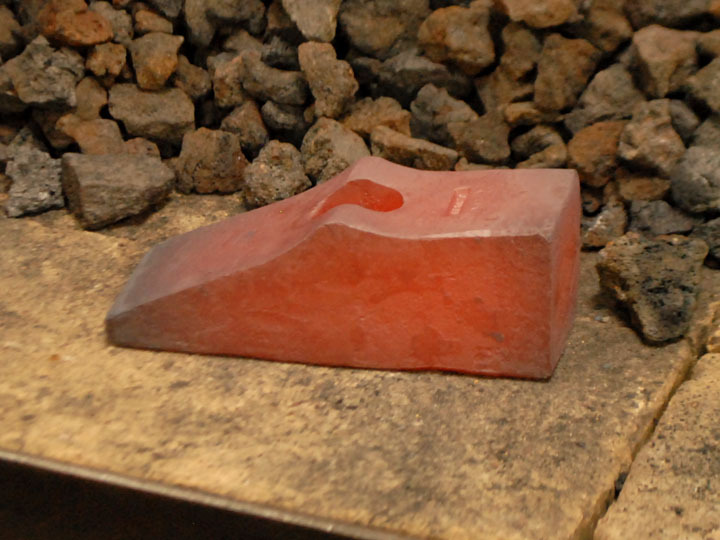 The next step is to finish the eyes and shape the profiles. 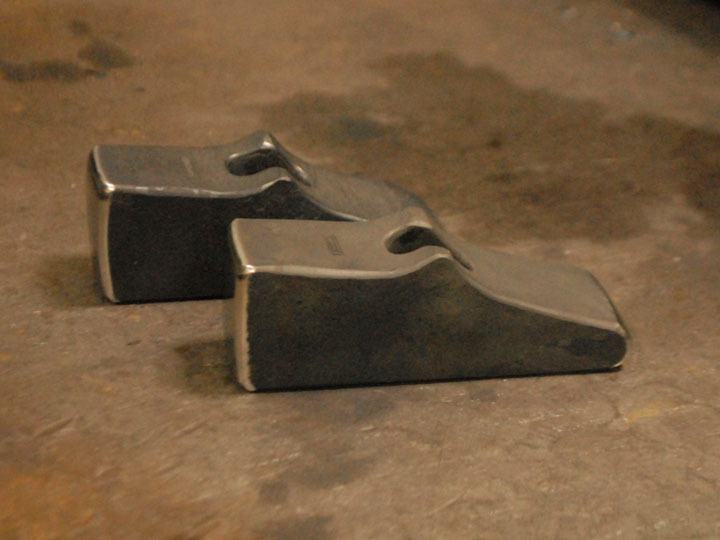 A pair of finished 3-pound hammers. This asymmetric form is a bit tricky to manage and takes careful smithing right from the beginning. I haft all of my hammers with simple, straight handles of white oak or hickory. The eye-hole has one full-length taper from top to bottom so ALL of the handle within it locks into the eye. 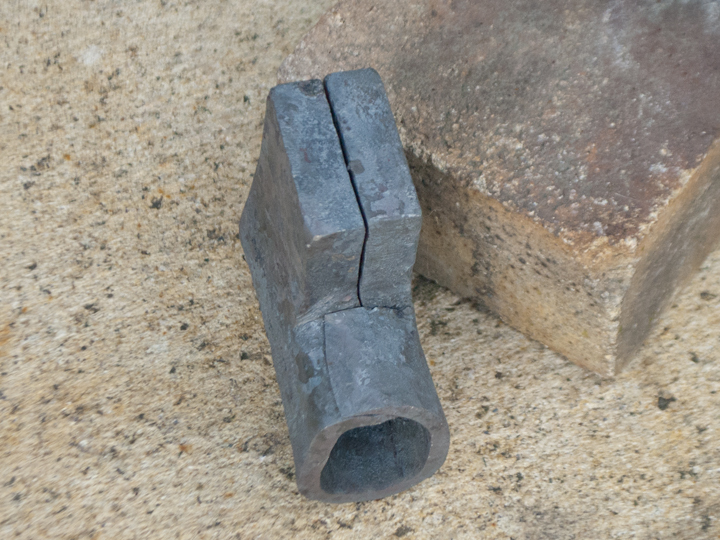 Developing a Process to Forge Viking-Style Hammers. Over the last several months I have been practicing the forging of Viking style hammers with forge-welded faces and peens. I am gradually developing a set procedure and a set of proportions to make these beautiful hammers in various sizes. I have settled on using mild steel for the bodies and W1 steel for the faces and peens. W1 is a high-carbon tool steel which can be heat treated very hard, and appears to hold up to forge welding quite well if care is taken not to burn it. After I am done with this form I will move on to others which intrigue me. 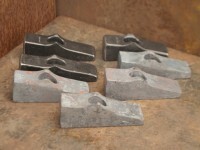 These hammers will be for sale starting in June when I return from teaching Viking style axe forging in England. 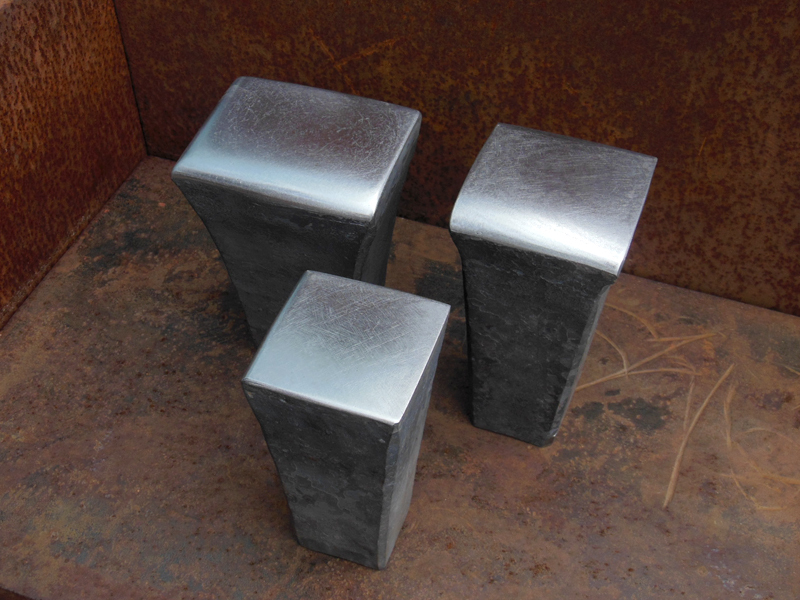 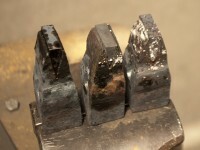 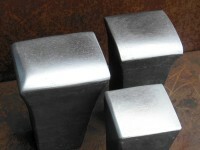 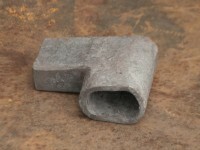 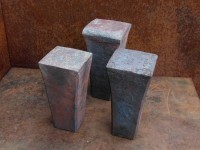 These hammer blanks already have forge-welded faces and punched eye-holes. In this picture the wedges of tool steel which will be forge-welded in place are visible. 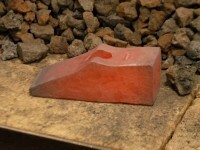 The borax which will aid this process looks either like a resin or crusty, white residue. 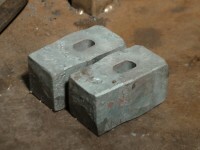 These hammers all used identical blocks of mild steel for the bodies and have various types and sizes of tool steel for the faces and peens. The front hammer contains all of the features and materials I will use for these hammers from now on(admittedly we’re talking about fine points). 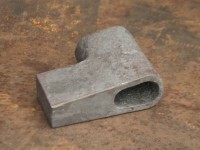 It is my “end stage” hammer for this style.